It is unsure whether Alfred Hitchcock was a true gentleman according to the on-set legends – but he certainly preferred blondes, even obsessed with them in a peculiar manner. His films are renowned for not only the suspense, the voyeurism and the gallows humour, but also the frequent feature of a blonde in a pivotal role. Of course, these blondes are not merely picturesque beauties for the audience’s gaze. They project such qualities of independence, determination, grace and mystery, but most notably, they also represent Hitchcock’s fantasy and idea of how a perfect woman should be. 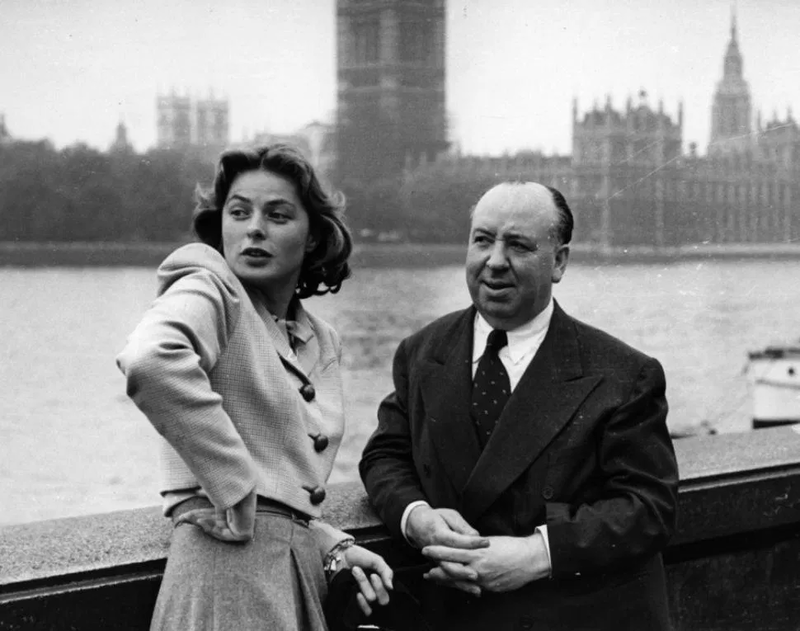 Ingrid Bergman taking a last fond look at the sights of London in the company of Alfred Hitchcock, October 23, 1948. Photo by Kurt Hutton.